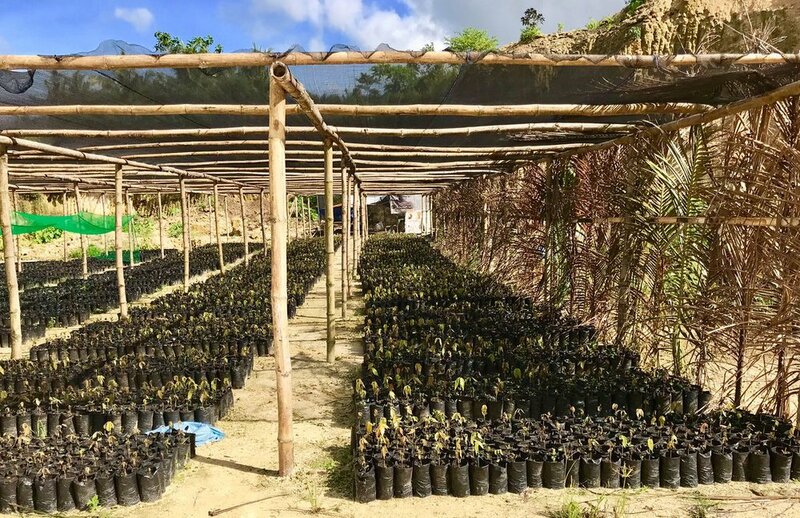 After Typhoon Nock-ten devastated her country in 2016, 19-year-old Louise Mabulo decided to help farmers create a more sustainable livelihood. 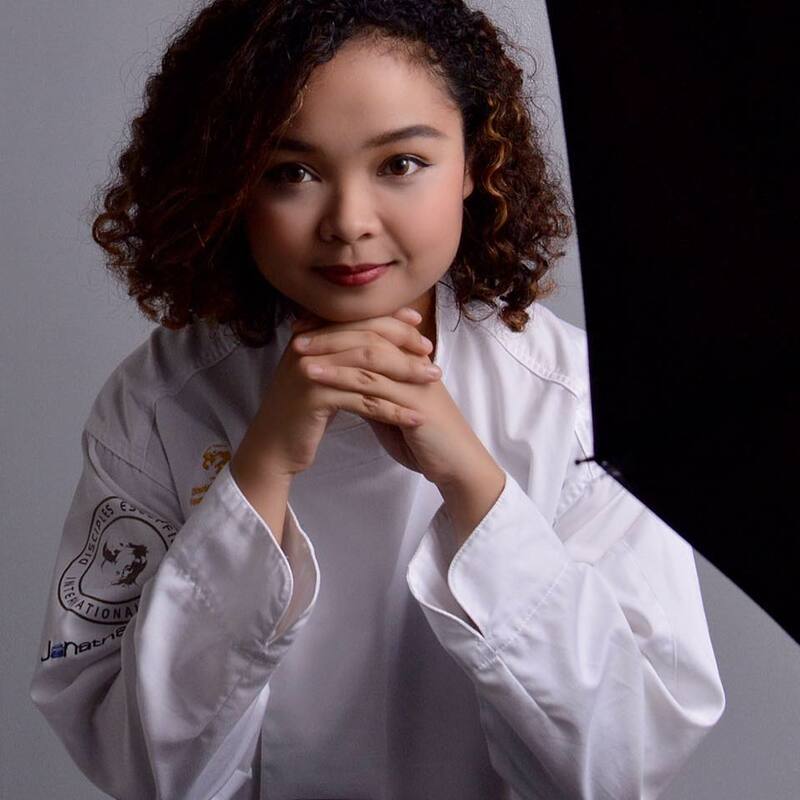 Louise Mabulo was only 12 years old when she put her culinary skills to the test on “Pinoy Junior MasterChef,” a Filipino version of the popular cooking competition. Her fifth place finish was just the beginning. Louise’s passion for her country and its cuisine has led her on a mission to protect the environment and support small-scale sustainable farming in the Philippines — using chocolate. 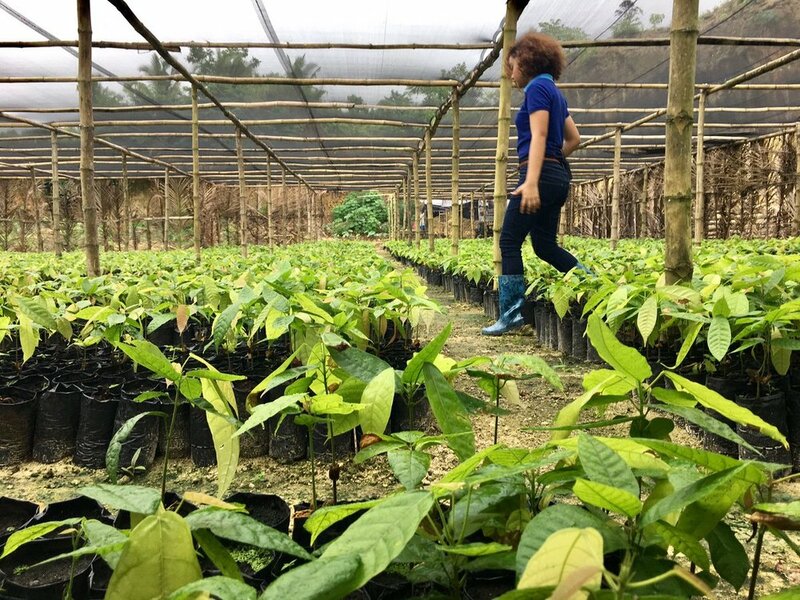 In 2016, Louise founded The Cacao Project, an initiative that provides cacao seedlings to local farmers and trains them on how to grow the crop. Through her work, Louise is helping to revive barren land, create jobs with steady incomes for her community and teach others about sustainable farming. While attending the United Nations Youth Forum in New York City, we sat down with Louise for a chat about her initiative, why she’s passionate about cacao farming (did you know there is a chocolate deficit??) and how she handles working in a male-dominated field. Tess Thomas (TT): Tell me a bit about yourself and your work with sustainable agriculture. Louise Mabulo (LM): I’m 19 years old. In 2011, I was a Junior Master Chef finalist so that propelled my culinary career. And eventually I realised I wanted to do something more — my focus now is on agriculture and promoting local farmers and their produce. That is why I founded The Cacao Project. TT: What is The Cacao Project? LM: After the Typhoon Nock-ten [the most intense typhoon to hit the Philippines in 56 years] in 2016, we decided we wanted to help farmers start a more sustainable livelihood. And that was how The Cacao Project was founded at first, it was a typhoon relief and it eventually turned into something more. With a bit of research, we realised that cacao was a great crop. It has a high value, lower maintenance after the first year and it lasts for over 20 to 30 years. And cacao farming creates a sustainable livelihood, which people can pass on to their kids and they’d be able to earn more from it. They’d be able to plant it alongside the crops they currently have. There’s a market for the cacao because there’s a chocolate deficit. The Cacao Project’s job is to give farmers the cacao seedlings, train them on how to grow it. And we’re also helping them process it. So currently, the buyers want it as a bean. In the long term, we want to have our own chocolate product. TT: Is cacao a new crop to your community? LM: Cacao has been growing in the area for some time now, but people didn’t have the resources to process it or they didn’t know how to propagate it properly. After a bit of studying, researches realised that chocolate grows best in our area because of the soil balance with acidity and alkaline. Nothing is typhoon-resistant, but cacao is more resilient to storms. So we have regular typhoons, flooding and high winds. Those are problems which the current crops — rice and coconut — are super susceptible to. When it floods, you have the rice that floods out and the quality goes down and then they can’t sell it. When we have high winds, the coconuts get cut off and they lose a lot of their profits. Whereas cacao is at the right height, you can always adjust the height through pruning and it doesn’t die out so quickly. It can lose all of its leaves and still come back after a few weeks. So it was the most ideal crop for our area. TT: What does a typical day look like for you? LM: On a day to day basis, there’s a lot of farming maintenance. I go around and visit all the farms. It’s not always an office job. It’s more out there in the field talking to people, running surveys, checking how everything is going. TT: That’s amazing! How do you learn the skills to run an initiative like this at 19? LM: Well I think the world right now is changing. There’s a lot of youth-led social ventures and movements out there. For me, I have access to technology and I just learn things online. I figure things out from social media and educational sites. And also learning from people who are much older than me and from people who are professionals in the industry. I always say that you can learn what someone took 50 years to learn in an afternoon by just sitting down with them and learning from their mistakes and their lessons. So it’s an ongoing learning process for me while building this social venture. TT: What do you want more people to know about the issue of food security? LM: If we’re going at the pace we’re going, we will be running out of food in the next fifty years or so. We should learn to value the production and consumption process. To value the people producing our food, the farmers. A lot of the world’s food comes from small-scale farmers and family businesses. We have to support them. TT: Tell me about how your education has played a role in your work. LM: Well my education is fantastic, I have a very unique situation where it’s all online. So I can take the time to work on my social venture, and then afterwards, I can just sit down with my laptop and learn about humanities and philosophy and social studies. A lot of people think online learning difficult because you have to have the discipline to manage your studies, assignments and whatever else you’re doing. I like it because I have control of my own time. Everyone has their own learning style. TT: What is your favourite part of your San Fernando? LM: I think it’s all the nature. And also we have this culture, we call it bayanihan. Everyone shares. Everyone is so open. Everyone is so tight knit it feels like everyone is related to each other. After the typhoon, everyone was sharing what they had and we were all cooking for each other, cleaning up together. Our town was actually the first place to clear off all the roads after the typhoon so that emergency vehicles could pass by. It’s because of this shared culture where everyone wants to work together for the whole community. TT: It sounds like an incredible place. What do you want the rest of the world to know about the Philippines and the work you’re doing? LM: I’m so proud of my country. There’s so much to talk about when it comes to the Philippines. There’s so much opportunity in our people and for our people. We’re very hard-working. We have so much potential. We’re still a very young country and we have a very motivated and idealistic youth. We’re full ideas and we’re full of passion. We’re very hopeful. They say we’re resilient, but we’re resilient because we’re hopeful. We always have something to smile and laugh about. TT: Why is it important for youth to lead in creating change in their communities? LM: The youth are the future of the world. We’re going to inherit the world and it’s important that we are good stewards to it. We’re in a very unique place in history where we have access to all sorts of things through online. We are a very well-connected world. We can meet all sorts of people from all around the world and we can tap that opportunity and use it for the benefit for the greater good. Rather than just use social media for scrolling, why don’t we use it to connect with people who can connect us with more opportunities for our area? I feel like our generation wants to have this legacy where we’re the turning point to a more sustainable future. TT: Where does your motivation come from? LM: For me, it’s always about serving God and knowing there’s a Creator out there that’s watching us. There’s a great motivation in that. I don’t like feeling like life is random. I want to know I’m working towards something. I want to serve something greater than myself. I’m being a steward to the world and I’m creating a change, that really drives me every single day. TT: What advice do you have for young women working in traditionally male-dominated fields? LM: I would say be strong and don’t let anyone push you down. It’s very odd in the Philippines to see a girl advocating for agriculture and working in the culinary field. It’s a very male-dominated industry. I’ve had a lot of criticism and a lot of people discouraging me. I think for young women, it’s important not to be discouraged and to use it to propel you forward. Prove everyone wrong. If people are standing against you, it’s a good thing because it means you’re standing for something. There are so many women out there doing great things and why can’t you?